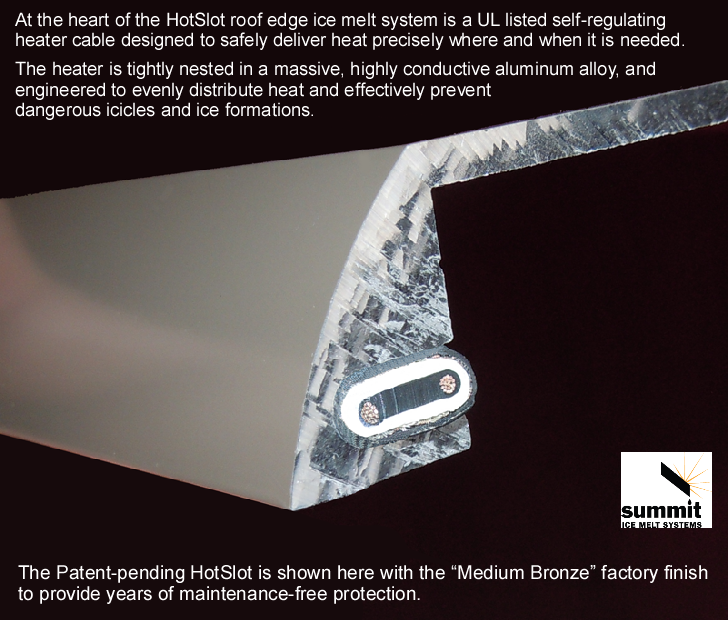 Prevent ice dams and dangerous icicles with the Radiant Edge HotSlot ice melt system. No need to use unsightly zig-zag roof heater cables. HotSlot performs better and maintains that handsome, architectural look.